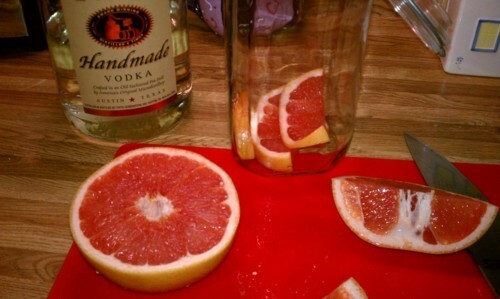 So it may or may not be a surprise to you that vodka is my favorite alcohol to add to drinks. I love my Bloody Marys, the spicier the better, and my drink is not completed until it’s garnished with home-pickled green beans! When someone first sent me vodka infusion recipes on Kitchen Konfidence I just knew I had to make the infusions at some point. Now that we’ve skipped spring in Texas and are straight into hot summer weather I decided it was time. 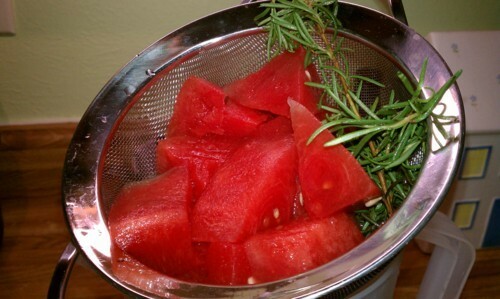 I selected the Watermelon Rosemary infusion because I love watermelon. 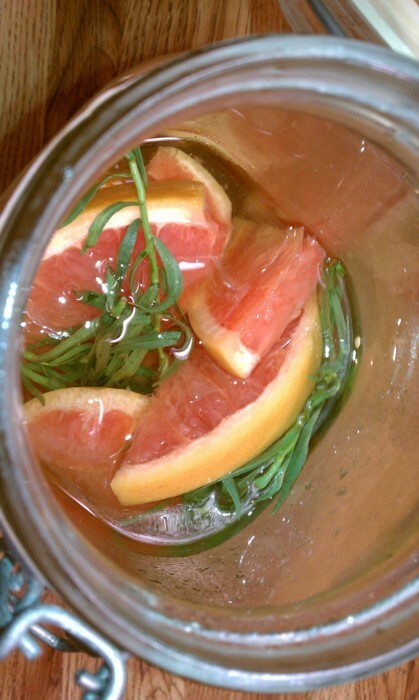 While I don’t really like grapefruit, I had to try the Grapefruit Tarragon infusion because of the drink it was featured in – a Salted Tarragon Greyhound. Not only is it a beautiful looking drink, it’s also a bit salty and it’s named after a dog! Some people even think my mutt is part greyhound (she’s not, she’s too slow). 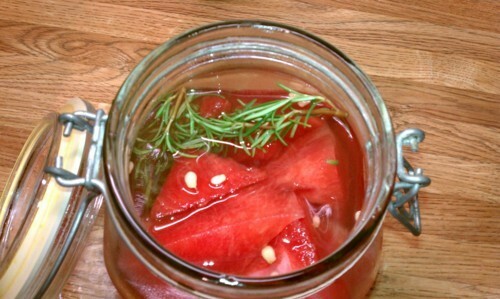 Soon I hope to enjoy the Watermelon Rosemary vodka in the Rosebud recipe as well. I’ll have to get the ingredients to mix the drinks this weekend. Anyhow, here was my experience making the infusions. 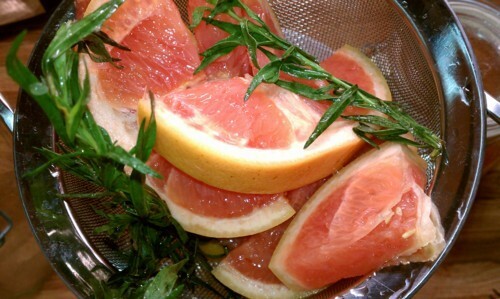 Slicing up the grapefruit. Such a pretty fruit but such a gross taste to me! Notice the bottle of Tito’s in the background. It’s my favorite vodka AND it’s local. Win! Those mixtures sat for two more days and tonight I strained them using a fine mesh strainer. I tried to get a decent amount of the liquid out of the fruit. The finished product! 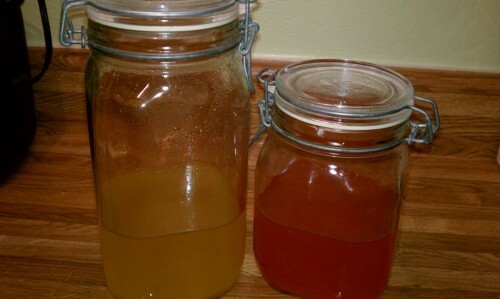 The grapefruit infusion is on the left and watermelon on the right. Can’t wait for a delicious drink!